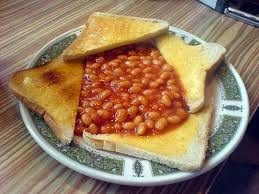 People should eat fewer baked beans to reduce flatulence which can contribute to global warming. As there has been (or should that be "bean") no warming for 17 and a half years, does that mean the Brits have reduced their baked bean consumption? A study last December suggested the total value of baked beans sold in the previous year had fallen by £20.8 million to £339.3 million in the UK. Meanwhile the old "cow fart" myth has raised it's ugly (smelly?) head again. The ignorance of these people.......cows burp......it's not the other end. that gases found in the Earth's atmosphere absorb. Q. I read that methane is an even worse greenhouse gas than carbon dioxide, and cattle are a big source of methane emissions. How are they going to regulate that? Not just cattle, but dairy cows as well! That doubles the worry. Fortunately, there is really nothing to worry about, scientifically. The main thing to worry about is over-reacting politicians and another layer of unnecessary government regulations. To understand methane’s role in the atmosphere, first it’s necessary to understand what absorption means. When light passes through a gas (sunlight through air, for example), some molecules in the gas might absorb a photon of light and jump up to an excited state. Every molecule is capable of absorbing some particular wavelengths of light, and no molecule absorbs all the light that comes along. This holds true across the entire electromagnetic spectrum – microwave, infrared, visible, and ultraviolet. The process of absorption has been studied in great detail. In a laboratory set-up, a long tube is filled with a particular gas, and then a standard light is set up at one end; at the other end of the tube is a spectrometer, which measures how much light of each wavelength makes it through the tube without being absorbed. (Mirrors are placed so as to bounce the light back and forth several times, making the effective travel path much longer; this improves the precision of the data.) From such measurements, the probability of radiation being captured by a molecule is determined as a function of wavelength; the numerical expression of that is termed the absorption cross-section. If you carried out such an experiment using ordinary air, you’d wind up with a mixture of results, since air is a mixture of various gases. It’s better to measure one pure gas at a time. After two centuries of careful laboratory measurements, we know which molecules can absorb which wavelengths of light, and how likely they are to do so. All that data is contained in charts and tables of cross-sections. Formerly that meant a trip to the library, but nowadays it’s routinely downloaded from the internet. Once all the cross-sections are known, they can be put into a computer program and the total absorption by any gas mixture (real or imaginary) can be calculated. The many different molecules absorb in different wavelength regions, known as bands. The principal components of air, nitrogen and oxygen, absorb mainly ultraviolet light. Nothing absorbs in the visible wavelength range, but there are several gases that have absorption bands in the infrared region. These are collectively known as the GreenHouse Gases (GHG), because absorbing infrared energy warms up the air – given the name greenhouse effect. The above figure shows how six different gases absorb radiation across the infrared range of wavelengths, from 1 to 16 microns (mm). The vertical scale is upside-down: 100% absorption is low, and 0% absorption (i.e., transparency) is high. It’s important to realize that these are shown on a “per molecule” basis. Because water vapor (bottom bar of the figure) is much more plentiful in the atmosphere than any of the others, H­2O absorbs vastly more energy and is by far the most important greenhouse gas. On any given day, H2O is a percent or two of the atmosphere; we call that humidity. The second most important greenhouse gas is carbon dioxide (CO2), which (on a per-molecule basis) is six times as effective an absorber as H2O. However, CO2 is only about 0.04% of the atmosphere (400 parts per million), so it’s much less important than water vapor. Now it’s necessary to scrutinize the figure very carefully. Looking across the wavelength scale at the bottom, H2O absorbs strongly in the 3-micron region, and again between 5 and 7 microns; then it absorbs to some degree beyond about 12 microns. CO2 has absorption bands centered around 2.5 microns, 4.3 microns, and has a broad band out beyond 13 microns. Consequently, CO2 adds a small contribution to the greenhouse effect. Notice that sometimes CO2 bands overlap with H2O bands, and with vastly more H2O present, CO2 doesn’t matter in those bands. Looking at the second graph in the figure, methane (CH4) has narrow absorption bands at 3.3 microns and 7.5 microns. CH4 is 20 times more effective an absorber than CO2 – in those bands. However, CH4 is only 0.00017% (1.7 parts per million) of the atmosphere. Moreover, both of its bands occur at wavelengths where H2O is already absorbing substantially. Hence, any radiation that CH4 might absorb has already been absorbed by H2O. The ratio of the percentages of water to methane is such that the effects of CH4 are completely masked by H2O. The amount of CH4 must increase 100-fold to make it comparable to H2O. Unfortunately, this numerical reality is overlooked by most people. There is a lot of misinformation floating around, causing needless worry. 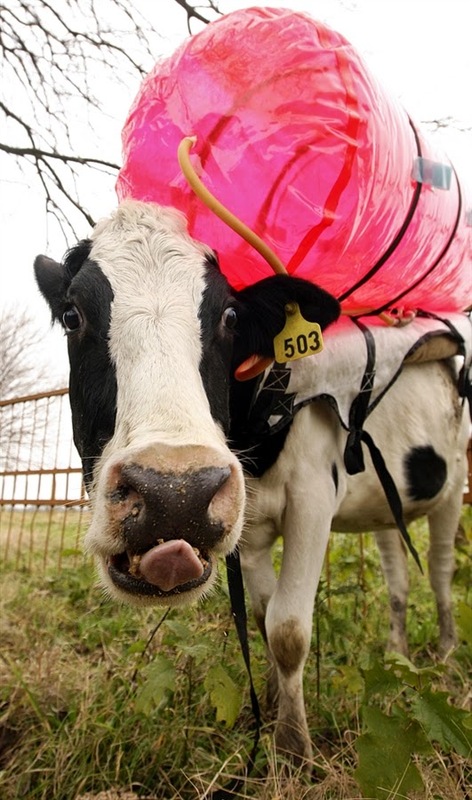 The tiny increases in methane associated with cows may elicit a few giggles, but it absolutely cannot be the basis for sane regulations or national policy.